Last year DBIA was proud to roll out our universally applicable Design-Build Done Right Best Practices. These Best Practices apply to any market sector of any size and the document was carefully vetted through the industry for more than a year. That document is the only one of its kind and it has been well received throughout the industry by owners and practitioners alike. This year, recognizing the real-world differences between design-build market sectors, DBIA’s market sector committees are developing a second tier of best practices related specifically to those sectors. The first committee to complete its initial draft is the Transportation Markets Committee. DBIA will be taking feedback on its draft until March 2, 2015. Read the draft document here. Those wishing to provide input relative to additional best practices and techniques specific to transportation may submit them to bestpractices@dbia.org. In your response please indicate you are commenting on the Transportation Best Practices. DOT Chief: 30-Year Transport Analysis a "Wake-Up Call"
Transportation Secretary Anthony Foxx said a recent analysis of the nation’s infrastructure needs for the next 30 years that was conducted by the Department of Transportation should serve as a "wake up call" for lawmakers about the need to boost federal road and transit funding. The long-range analysis, which has been dubbed "Beyond Traffic," predicted that the U.S. population would increase by 70 million and by 2045, traffic in Omaha, Nebraska, would be as bad as the current gridlock in Los Angeles. Before diving into a thicket of transportation data and questions, a hefty new federal study makes a traffic projection that could get a chuckle, even from folks in Nebraska: Omaha, the new Los Angeles. That’s by 2045, the study says, when traffic congestion in Omaha (current population of 435,353) could be just as bad as it is in L.A. (current population of 10 million). Mabey Inc. worked with a contractor in Altoona, PA to find a solution to prevent water from an adjacent stream touching the wet concrete from construction on new bridge footers — but still maintain water flow around the structure. The proximity of the neighboring homes also made excavation a concern. Even moderate vibrations from an excavator-mounted hammer used to drive sheet pile inside the trench could potentially damage any nearby foundations. So what was the solution? Click here to find out. The Missouri Department of Transportation will pursue an $18 million project to replace three Interstate 70 bridges in Columbia later this year. MoDOT will hire a private contractor to rebuild the bridges over Business Loop 70 and West Boulevard, Garth Avenue and Range Line Street. It expects construction to begin in fall 2015 and to be completed by Oct. 1, 2016. Florida Gov. Rick Scott announced that the Florida Department of Transportation (FDOT) would receive $9.9 billion in the “Keep Florida Working” budget to make strategic transportation investments statewide. The governor’s proposed budget follows this year's record funding of $10.1 billion to improve Florida’s infrastructure, including the largest FDOT work program in state history. It may be the biggest construction project you have never heard of. A massive project to upgrade the Sacramento region's sewage treatment plant is about to begin – and it will employ up to 600 construction workers at its peak, officials said. An official groundbreaking ceremony for what has been dubbed the Echo project is scheduled for May, but some preliminary work has already begun. Once the poster child for the recent housing bubble and subsequent crash, Miami has today emerged as one of the strongest growth markets in the country — and one of the best representations of urban renewal and sustainable vertical development globally. Yet as Miami’s international appeal rises and its residential and tourism populations grow, so too does the need for enhanced transportation solutions and widespread infrastructure improvements. The Alabama chapter of the Associated Builders & Contractors of America has been a strong voice for contractors in the state for years. The organization is looking at 2015 as another pivotal year in the growth of Alabama's construction sector, as industry leaders face new challenges in the post-recession world. MWH Global has named Todd Larson as its global project delivery director of engineering and quality, to boost the team of professionals in the design, construction and delivery of infrastructure projects, according to a press release. Larson, rejoining MWH Global after eight years with Black & Veatch, will provide leadership to the global delivery group, focusing on "design excellence within the construction design-build operations" in his new position as director of engineering and quality, stated the release. A new 317,000-square-foot housing facility is being constructed at Richard J. Donovan Correctional Complex, located in the San Diego community of Otay Mesa. Construction broke ground in April 2014, and the project is slated for completion in 2016. Clayco – a full-service real estate development, architecture, engineering and design-build construction firm – announces the completion of the Reinsurance Group of America's (RGA) $150 million global headquarters in Chesterfield, Missouri. Clayco served as the project’s design builder and Gensler was the project architect. Jay Longo, President of Forum Studio (Clayco’s full-service architecture practice), was the lead project designer and Fox Architects was the building design consultant and interior architect. 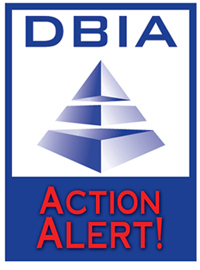 Interested candidates should send a cover letter outlining how they feel they can contribute to DBIA’s growth and success no later than 2/28/15 to aleisner@dbia.org. Please join DBIA and the City of San Antonio for a walking tour of the Henry B. Gonzalez Convention Center Expansion. The tour will take place on Monday, March 9, from 8 a.m. – 10 a.m. and attendees will earn 2 CEU credits. This tour will guide the audience through lessons learned as the City executes one of its first and the largest-ever design-build projects, the $325 million expansion of the Henry B. Gonzalez Convention Center. In addition to lessons learned, the tour will discuss its successful methods in working around the convention center’s operations as well as other municipal operations through strategic and tactical stakeholder management methods. Additional Fee Required. New member listing as of Feb. 9, 2015. The Port of Seattle is seeking proposals from consultants interested in providing executive-level leadership and overall program management of the International Arrival Facility (IAF) at Seattle Tacoma (Sea-Tac) International Airport.